Discover The Wonders of Our Earth and the forces and life forms that shape our world with the Earth Science Series. Designed specifically for the middle and high school science classroom, this series introduces students to the various geologic forces and physiographic regions that have shaped our planet. This program teaches students what is beneath the earth as they explore the earth down to the core.Using data from seismic readings and deep well sampling this program explains the crust, the mantle, the Moho layer, the outer and inner core of the earth. 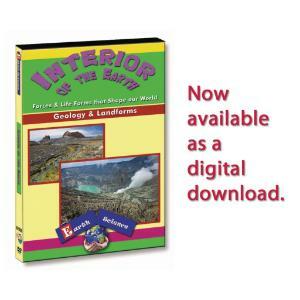 An ideal program as an introduction to the earth and geology.